As the days lengthen and the temperature warms, thoughts of creating a collage of delightful memories emerge. When you envision the events that may occur, may I suggest a foundation on which to plan them? Psalm 37:4 states, “Delight yourself in the LORD; and He will give you the desires of your heart.” If we are to experience a delightful summer our first priority will be to walk closely to Him and allow Him to place in our hearts the desires that will create incredible memories. 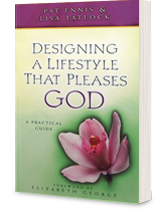 By definition, delighting ourselves in the Lord means to seek our pleasure in Him. The Septuagint reads, “Indulge yourself in the Lord.” We all know what it is like to indulge ourselves in our favorite food or activity—we anticipate it and under favorable circumstances enjoy it to the maximum. The same is true as we choose to delight ourselves in the Lord. Just as we become like the individuals that we spend the most time with, so the more time we spend with our Lord the more we will resemble Him. We will begin to think as He thinks and desire what He desires. Consider the following strategy to create this delightful experience. The Navigators teach, “God’s Word, the first word.” This is an encouragement to put the Bible before other things in our day. Practically stated, this means not turning on anything electronic before we allow God’s thoughts to infiltrate our mind for the day. When we choose to begin our day with God’s Word and get in tune with His perspective, we find ourselves walking more closely with Him throughout the day and delighting in Him more wholeheartedly. Then when we read a disturbing news report, receive a not so pleasant phone call, or view a Facebook post that is not totally accurate, we are already thinking God’s thoughts and can filter what we hear or read through His Word. Acknowledge that delighting in the Lord is accomplished by reading His Word and committing ourselves to Him daily. This is one way we demonstrate our love to God (Ps. 119:11; Mark 12:30). We are able to serve Him more effectively when we bathe our desires in prayer and place them through the grid of Scripture since these actions bring us closer to Him (Ps. 55:17; Phil. 4:6-7; James 4:8). Serving God, irrespective of what is happening, is part of His plan for us (Ps. 100:2; Col. 3:23-24). Regardless of where we have been placed by God, this is where He wants us to bloom and bear fruit (John 15:1-11). Kelsey continues our thoughts of experiencing a delightful summer with a probing question. Her tips will assist you in maximizing your summer days to their fullest! Are Your Summer Expectations Realistic? Refine your summer expectations. Sadly, there is no such thing as “endless summer”. All good things must come to an end, so begin your planning with prayer and an understanding that your break will be disappointing unless properly planned and organized. Make a list of all the things you would like to accomplish and then prioritize the items. This list can be organized by category and can have anything from “go skydiving” to “organize my bedside table”. Once the list is created and prioritized, commit to begin working on the list, holding on to each item loosely, remembering that everything always takes more time than one thinks possible! Begin to make definite plans. Grab your calendar, a pen, and your phone and begin calling people and setting dates. Remember, if it doesn’t get planned it most likely won’t happen. Be sure to make time for rest! Having time between your summer events to rest, get the laundry done, and do your grocery shopping is critical. There is nothing more stressful than only having one day to get everything back into order after your family vacation before hosting the annual church picnic potluck. As servants of the Lord, remember that we are called to be stewards of our time and resources (Luke 14:28; Eph. 5:15-17), committing our ways to Him (Matt. 6:33a). Above all, consecrate your summer to the Lord and seek to honor Him each and every warm and sunny day! God has said, “For though the Lord is high, he regards the lowly, but the haughty he knows from afar. Though I walk in the midst of trouble, you preserve my life; you stretch out your hand against the wrath of my enemies, and your right hand delivers me. The Lord will fulfill his purpose for me; your steadfast love, O Lord, endures forever. Do not forsake the work of your hands” (Psalm 138:6-8). The “Building a Culture of Biblical Femininity Conference in the Home, Church, and Community” October 5-7 on the campus of Southwestern Baptist Theological Seminary will allow you to deepen your understanding of Biblical Femininity. If you would like to know more about the Conference contact me through the “Send Pat a Message” feature at the bottom of the Home Page. I am excited to introduce you to the Key Speakers. We pray that you will choose to join us in our March for Biblical Femininity in October! Mary Lee Bayly is the director of Women’s Ministries at Clearnote Church in Bloomington, Indiana. She and her husband Tim, who pastors the church, have been married for 41 years. They have 5 children and 21 grandchildren. 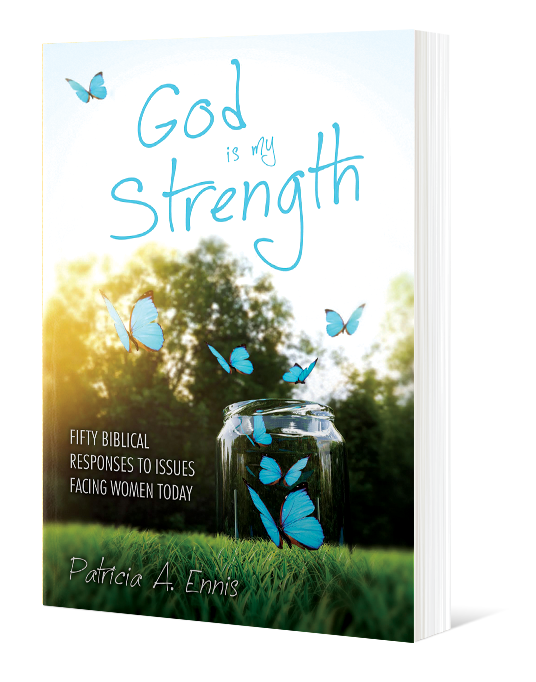 Having fallen prey to the lies of feminism herself in younger years, she works earnestly to help women embrace their God-given calling as set forth in Scripture. When she is not taking care of grandchildren she is counseling women, reading, sewing, or attending births as a doula. 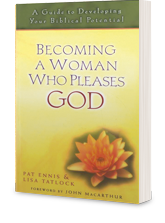 Barbara Hughes is first and foremost a lover of Christ, wife, mother and grandmother. 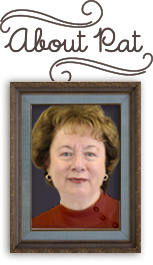 She has served the Lord alongside her husband in ministry for over fifty years. 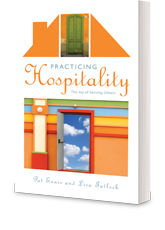 Her energies in this regard were devoted to the work of women's ministries, Bible study and hospitality. 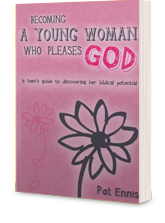 Barbara is co-author and author of several books most notably, Disciplines of a Godly Woman. 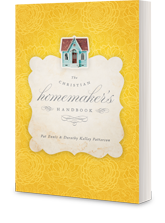 She has a passion for personal evangelism, gardening and oil painting. Rachel Jankovic is a wife to Luke, mother to seven busy children, and an occasional writer. She is the author of two books, Loving the Little Years, and Fit to Burst. She can usually be found up to her elbows in the work of feeding all the people she loves.